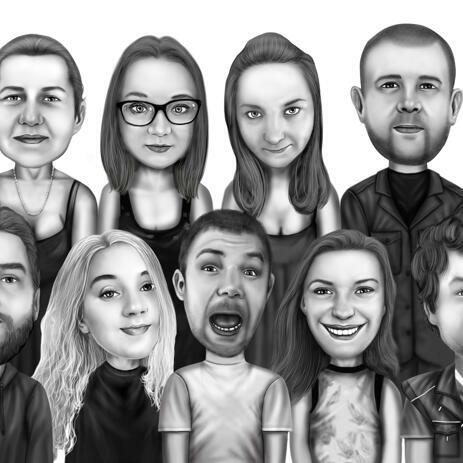 What can be more touching than to have at home or to give to your family member a common group cartoon drawing which will be custom-designed by one of artists. 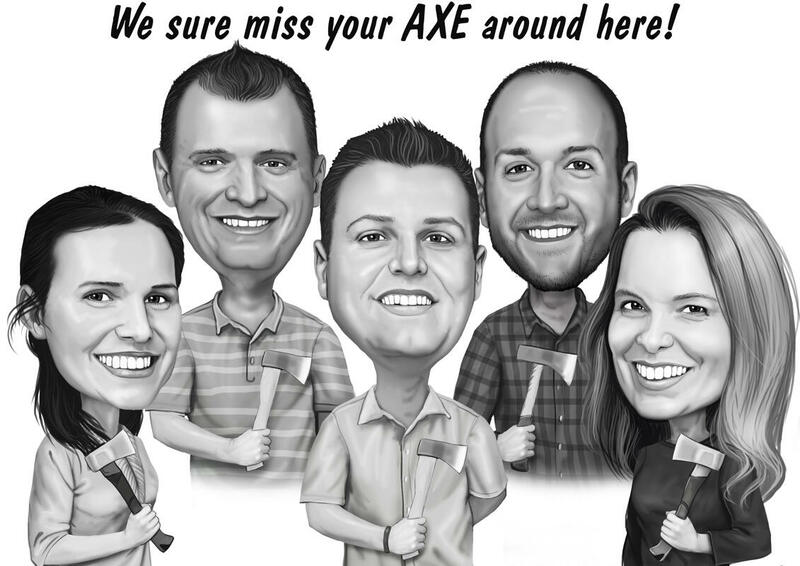 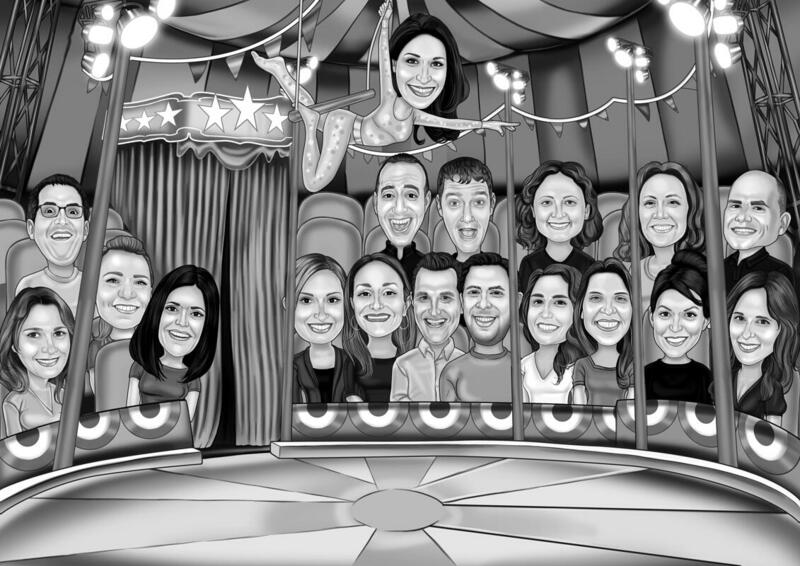 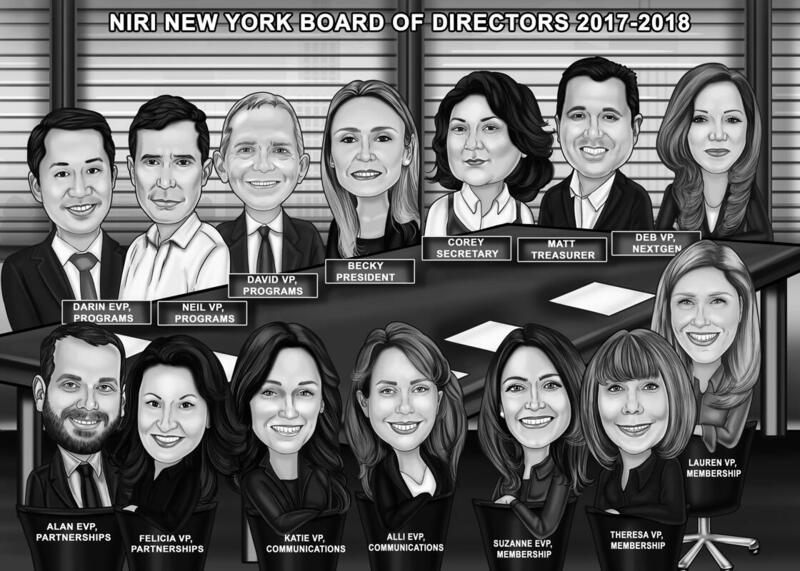 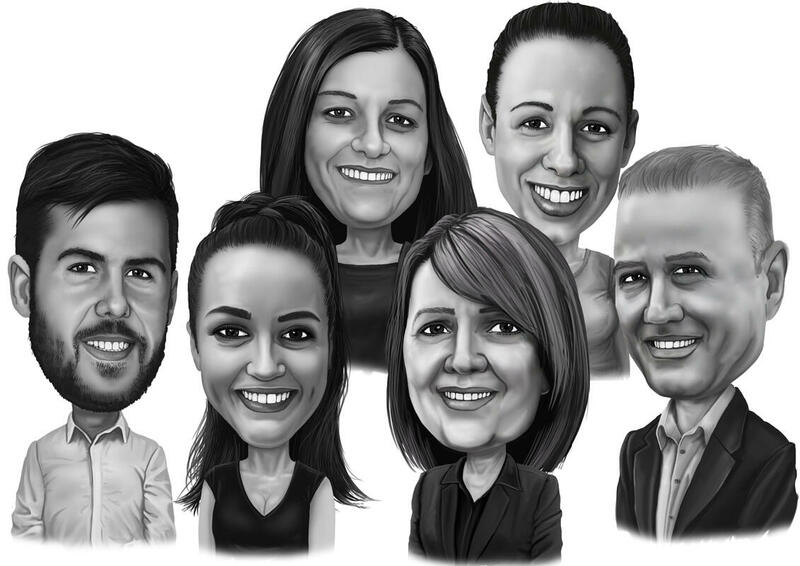 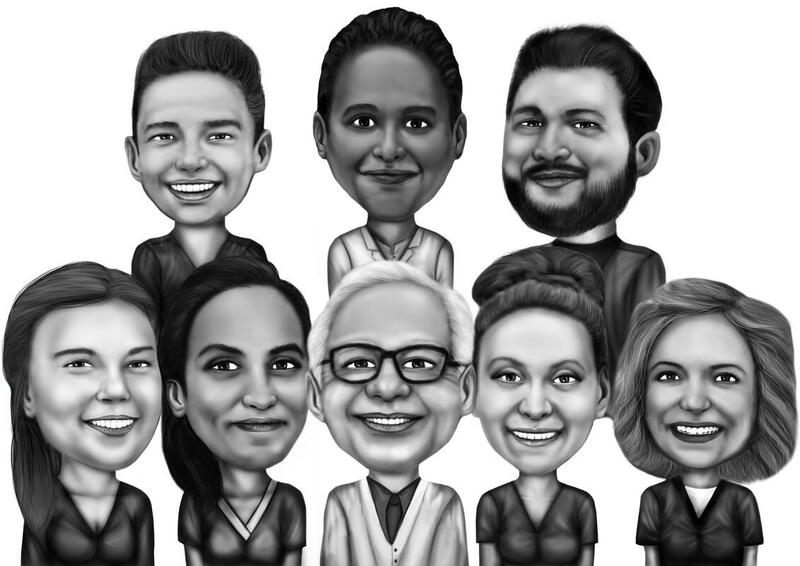 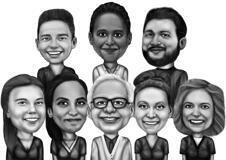 We create personalised caricature of different family's, people, large companies groups and sport teams, which are given as keepsake and presents on various occasions, existing in the world. 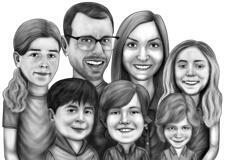 We offer you a good structured drawing, which will melt any heart. 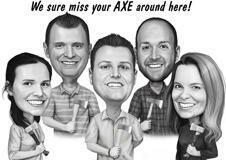 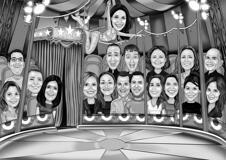 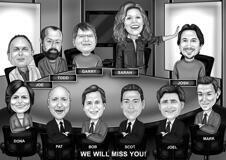 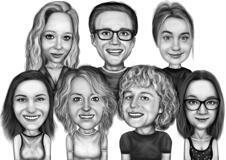 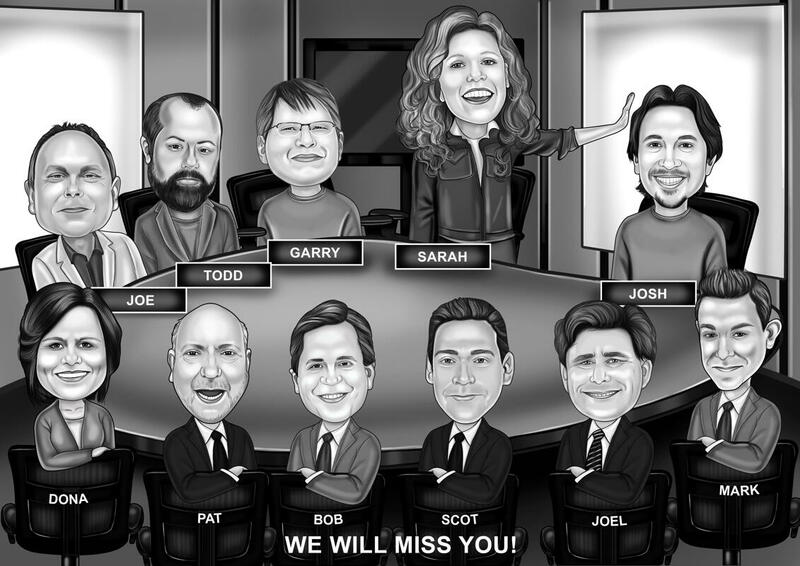 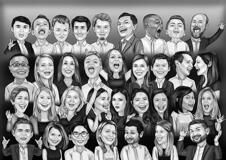 Your Group Cartoon Drawing will be delivered as a JPG file of 4000px resolution at 300dpi. 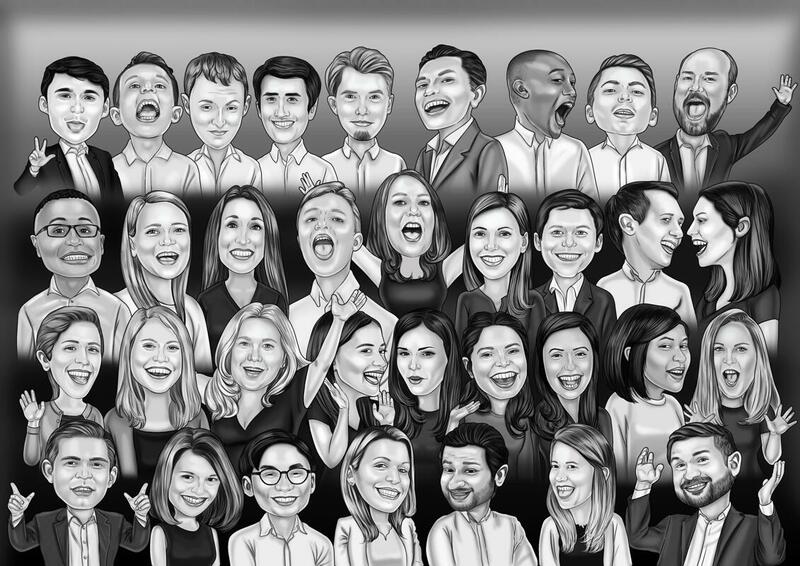 Note: We can draw hundreds persons in one drawing, hence if you are interested in ordering more than 10 persons, contact us for a quote. Additional chargeable deliveries: Monochrome Caricature scanned and printed on Canvas or Photo Paper with worldwide shipping.